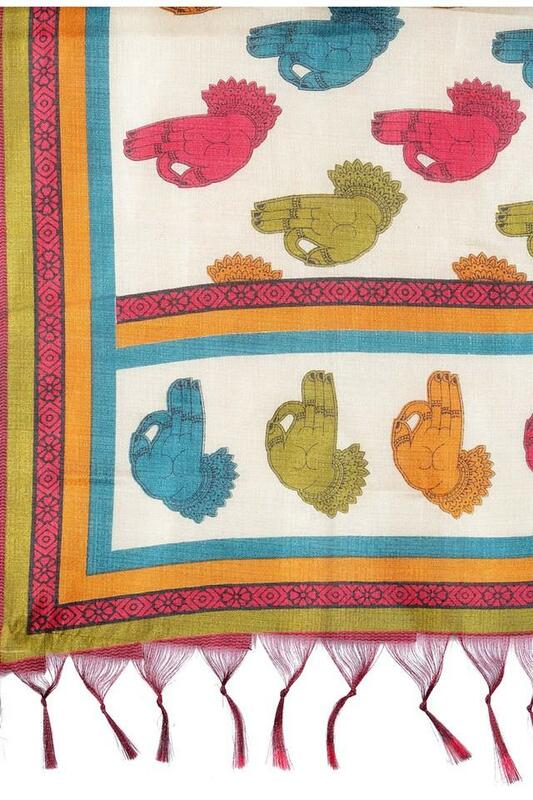 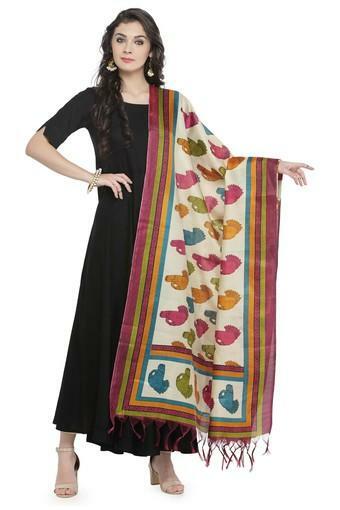 For an extra dose of feminine charm to your everyday dressing, style your outfit with this dupatta from Varanga. 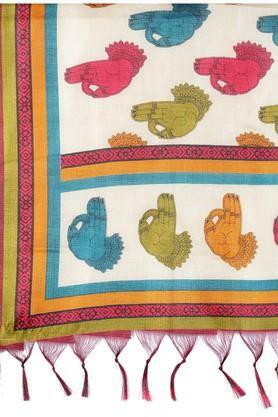 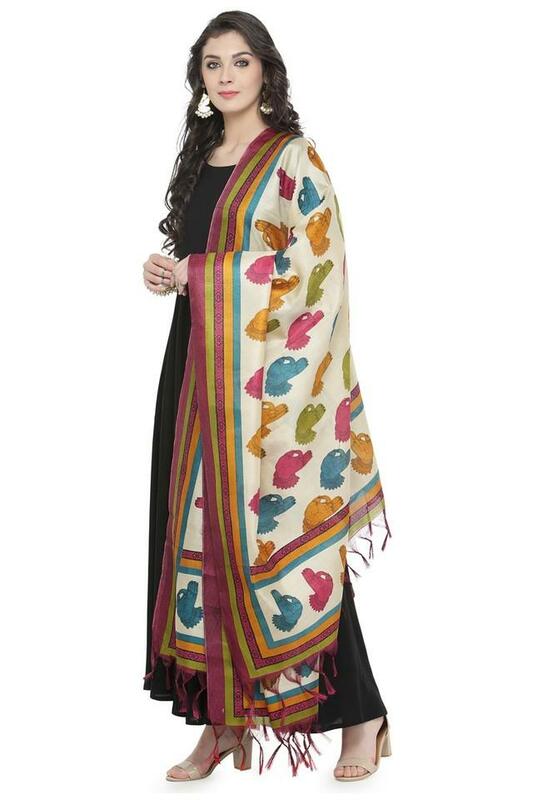 Rendered from a soft and breathable art silk fabric that flaunts a printed pattern throughout, this chic dupatta will look beautiful around your shoulders. Take your style to a new level by teaming this dupatta with a matching kurta and a pair of leggings.